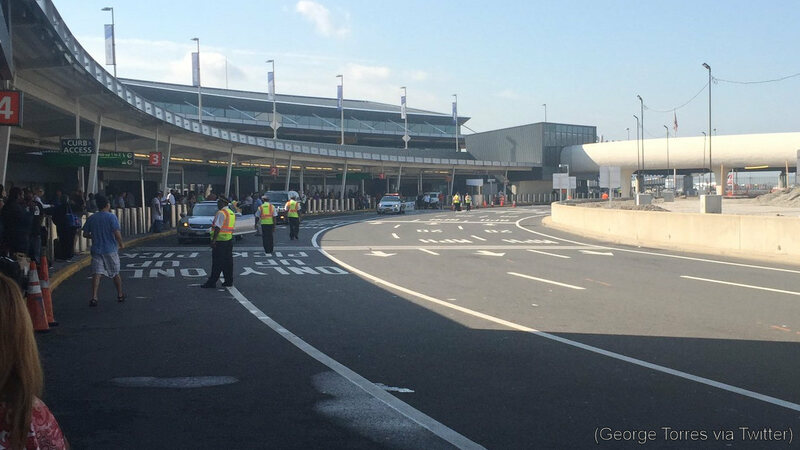 NEW YORK (WABC) -- Authorities briefly closed off part of a terminal at JFK Airport Wednesday morning as a precaution while they investigated an unattended bag. 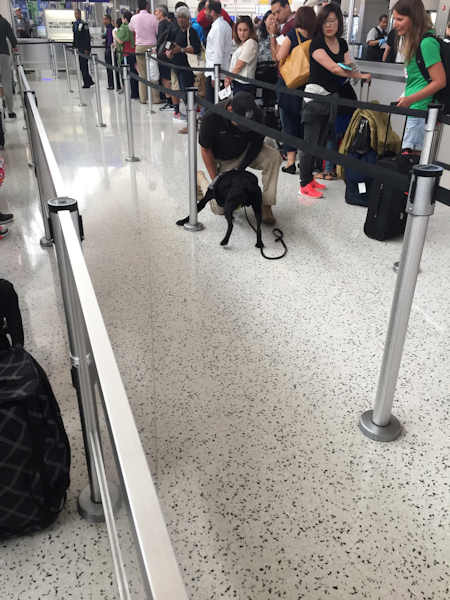 At about 8:30 a.m. at the Terminal 5 departure area, a Homeland Security K-9 unit sat on the bag. The dogs are trained to sit down next to items of concern. The bomb squad responded, but the bag was cleared and people were allowed back in. The bag was outside so there was no need to evacuate the actual terminal. People were not permitted to enter and traffic was kept away. The area around the bag was evacuated and roadways to the terminal were closed for about an hour. Dogs checked bags in TSA lines and baggage check-in areas at Terminal 5. JetBlue, Hawaiian Airlines and Aer Lingus are based in Terminal 5.